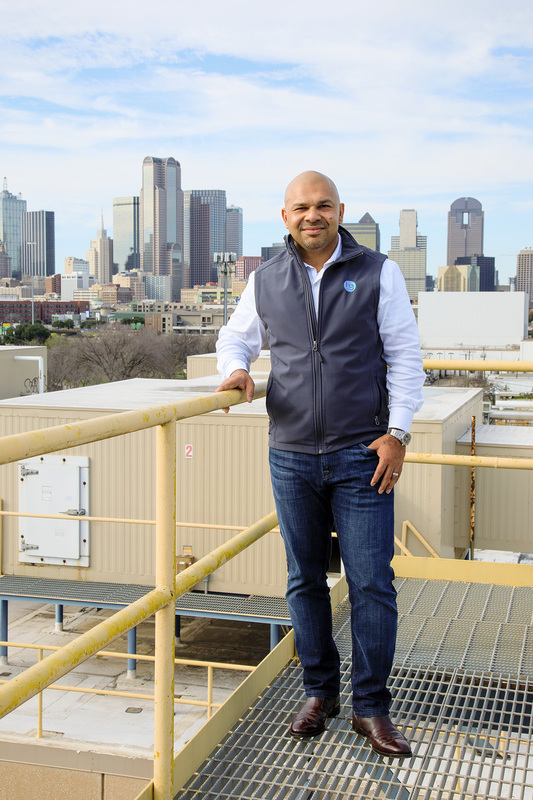 The Hoque Global CEO spent the last four years assembling two large sites in the Cedars and near the Dallas Farmers Market. There’s a motto posted on Mike Hoque’s company website: “We believe that where great obstacles exist, one also finds infinite opportunities for growth and development to make life better.” If that’s true, Hoque has an exceptionally bright future. The 40-something CEO of Hoque Global has spent the last several years haggling with nearly 100 different property owners to piece together 35 acres of developable land on the south side of downtown Dallas. One 15-acre site sits along Hickory Street between Good-Latimer Expressway and Cesar Chavez Boulevard in the Cedars. A second, 20-acre site lies between the convention center and the Dallas Farmers Market. Sizable urban tracts like these are rare—for good reason; assembling them is incredibly difficult. Hoque says he is determined to make a difference in a city that has pretty much been his home since he was 15. He had just finished boarding school in his native Bangladesh, and his father gave him a trip to visit his uncle in Dallas as a gift. “It was like getting out of jail,” Hoque says. He was first sent to the boarding school at the age of 4. Mike Hoque’s 15-acre redevelopment site overlooking downtown Dallas includes an old Pilgrim’s Pride plant. His father owned road construction and bus transportation businesses in Bangladesh and thought it would help groom Hoque, his oldest son, to take over the companies someday. The school was just a couple of miles away from the family home, and Hoque would often see his dad while on morning jogs with other students. For Hoque, Dallas was a revelation, and at the end of that first summer, he told his father he wasn’t coming home. His dad cut him off and told Hoque’s uncle to do the same. Hoque went to New York and did odd jobs for a couple of years before returning to Dallas in 1999 to launch a limousine company. Black-car service providers were everywhere on the East Coast, but no one was doing it in North Texas. Pleased with the impact the restaurants were having in revitalizing downtown Dallas, Hoque decided he wanted to do more. He began meeting with and learning from developers like Jack Matthews and began preparing one of his employees, Nafees Alam, to take over DRG. Hoque, who’s known for building hard-working, loyal teams, pushed Alam to get his MBA. And at a party to celebrate his graduation, Hoque gave Alam a box of business cards with a new title: CEO. Hoque’s main focus now is getting mixed-use development going on the two big Dallas sites he owns, and making sure affordable housing is in the mix. Toward that end, he relentlessly—and successfully—pushed to get downtown land designated as Opportunity Zones. Part of the Tax Cuts and Jobs Act of 2017, the incentives program aims to draw economic stimulus to depressed regions by letting investors place capital gains in real estate or businesses and receive tax reductions on those gains. Opportunity Zones are mostly used in outlying areas, so securing the designation was a coup. Hoque is getting zoning approvals for his site in the Cedars, which includes a derelict Pilgrim’s Pride plant. He named the project SoGood @ Cedars, in a nod to South Dallas and Good-Latimer. Designed by Hoque Global and Domus Studio Group, initial plans include 260 housing units and 50,000 square feet of retail space. His 20-acre site in downtown, called the Dallas Smart District, got a lot of press as a contender for Amazon HQ2. Hoque says he learned a lot from the experience.